Repetitive activities like power cutting fabric for a large quilt top or sitting for long periods of time sewing can be hard on the body. 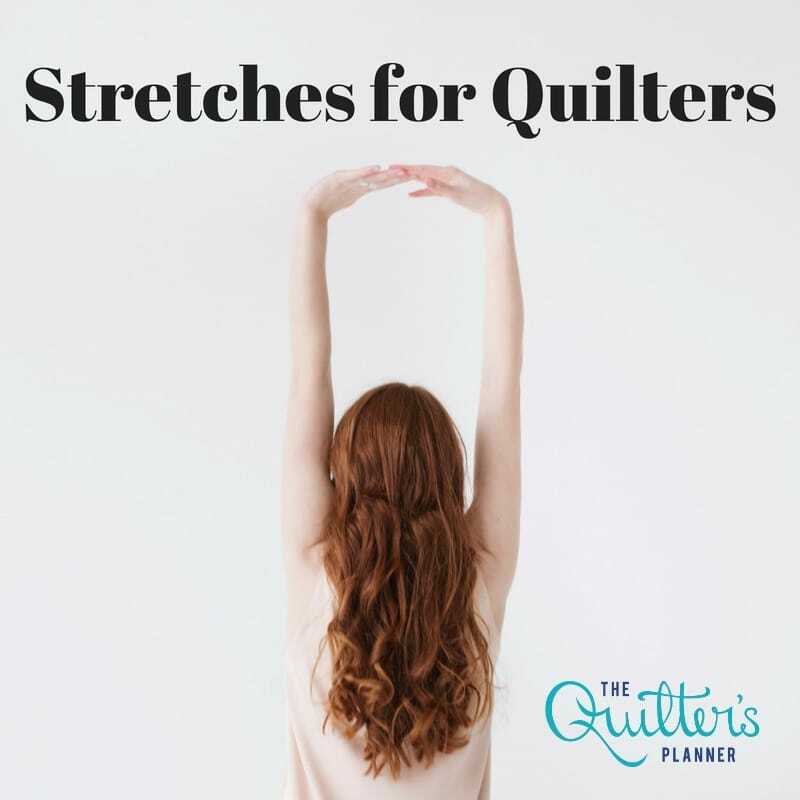 Here are a few great stretching resources and videos to incorporate into your daily routine to help keep you loose, limber, and ready to quilt. Be sure to block off some time for yourself in your planner each day to work a few of these gentle stretches into your life! Scroll down for links to our favorite stretching videos and other posts. 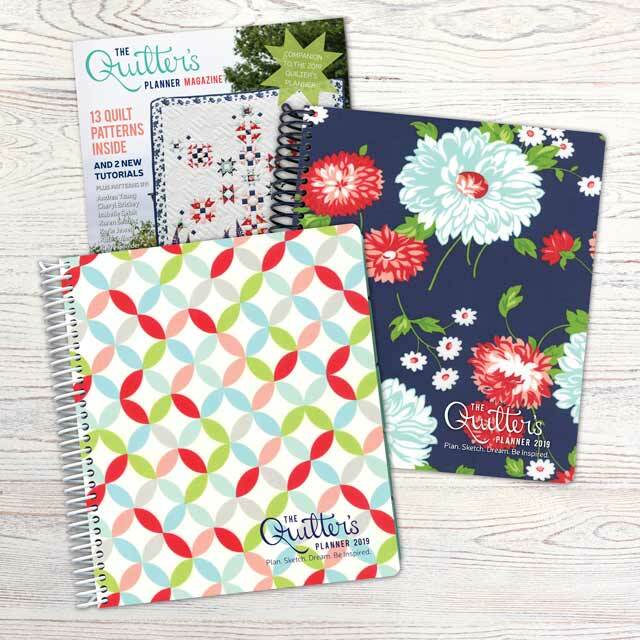 Consider using the habit tracker in your Quilter’s Planner to record when you take the time to stretch. 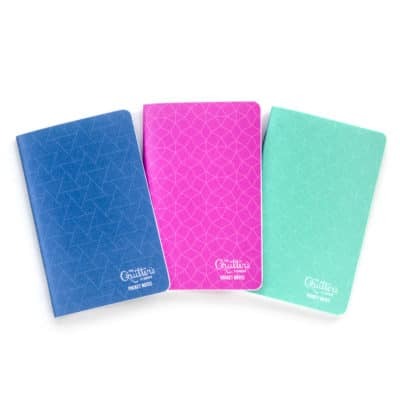 The habit tracker, on the left hand side of the page on every weekly calendar of the Quilter’s Planner, can be marked off to reflect when you practice building the new habits you want to do more of in life. 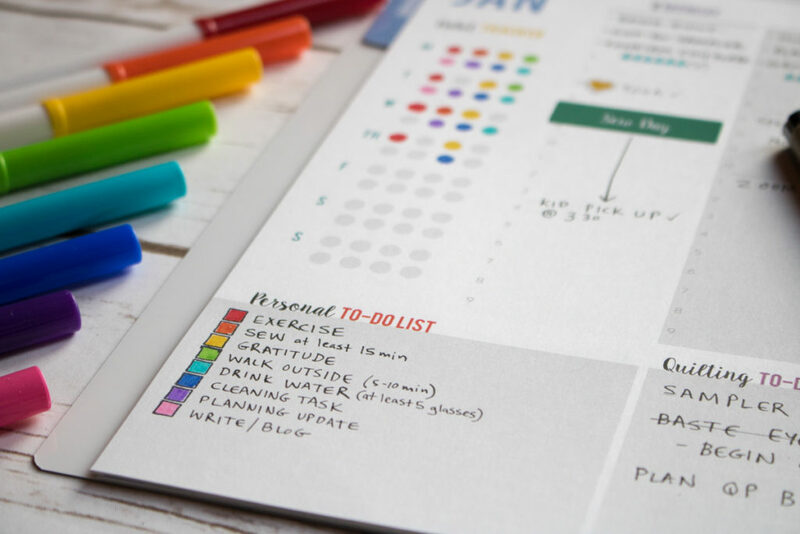 You can even create a color coded list of the habits you are working on each day, and use this to track your daily progress. Remember, it takes time and dedication to create new, healthy habits, and your planner is the perfect tool to help you do this. 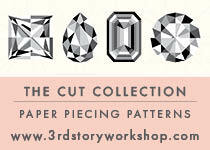 After periods of hand sewing and writing, finger and hand stretches are great to work into your routine. Sewing and quilting can also be hard on the neck: we spend a lot of time looking down. These neck stretches will help maintain a healthy range of motion and flexibility. 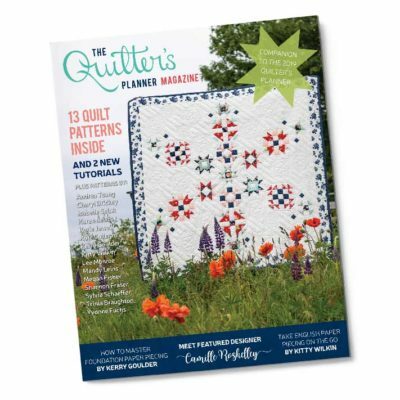 Many quilters talk about tight or sore shoulders. 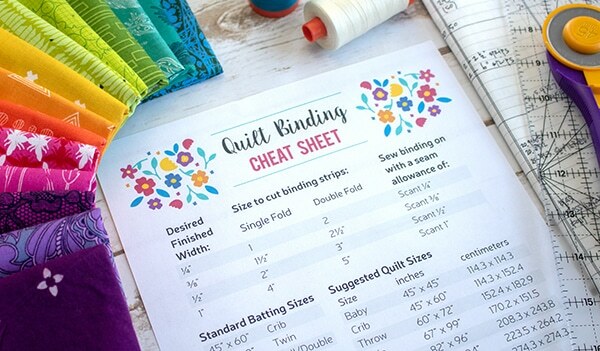 These two gentle stretches are good to incorporate into your quilting routine every 20 minutes or so. 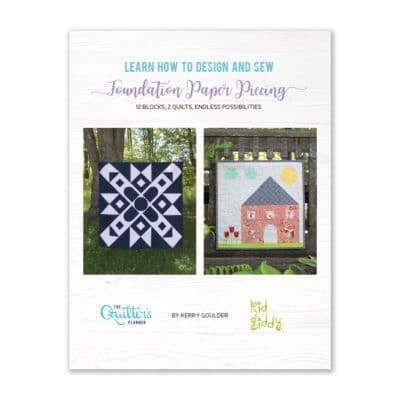 Still Need a Quilter’s Planner of your very own? Click HERE!